"It is probably worth forgiving his latest run in a Grade 1 at the Grand National meeting..."
12:40 - PYM (2) looked a useful prospect when making a winning start over hurdles at Chepstow last month and is taken to follow up. Anemoi did well in bumpers last season and appeals as the type to make his mark over hurdles this time round. Rock Steady hasn't been seen for 11 months but his Flat ability suggests he should be up to making his presence felt in a race like this. 13:15 - This looks a competitive handicap with several unexposed sorts who make appeal, none more so than NEW QUAY (5), though, who has progressed nicely in his three starts under Rules so far, and should have even more to offer now handicapping. She was worth some extra credit at Market Rasen last time, too, doing best of those held up in a slowly-run race, and an opening mark of 115 looks workable for a yard that do well with such types. Darling Maltaix is feared most. 13:50- WENYERREADYFEDDIE (4) left his chase debut form well behind when running a potentially smart type close in a maiden chase at Uttoxeter last time, and it's fair to assume he is going to make up into a better chaser than hurdler. He was ridden prominently and jumped well in the main, rallying when joined by the winner two out, and judged on that run, the handicapper has perhaps taken a chance giving him an opening mark of 130 now entering handicaps. Nicky Henderson has a good strike rate with such types and he should prove hard to beat here. 14:25 - SHANTOU ROCK (2) should have his own way in front here and was an impressive winner on his reappearance last season, so he should put up another bold-jumping display and take all the beating returning from 6 months off. The bang-in-form Ink Master is his chief threat and Champagne At Tara can get involved if returning in the same form as he was in during the summer. 15:00 - GLOBAL CITIZEN (1) made a deep impression on his first two starts for this yard last season, winning at Southwell and Kempton, his win in the Dovecote particularly striking, and he almost certainly has more to offer this season. 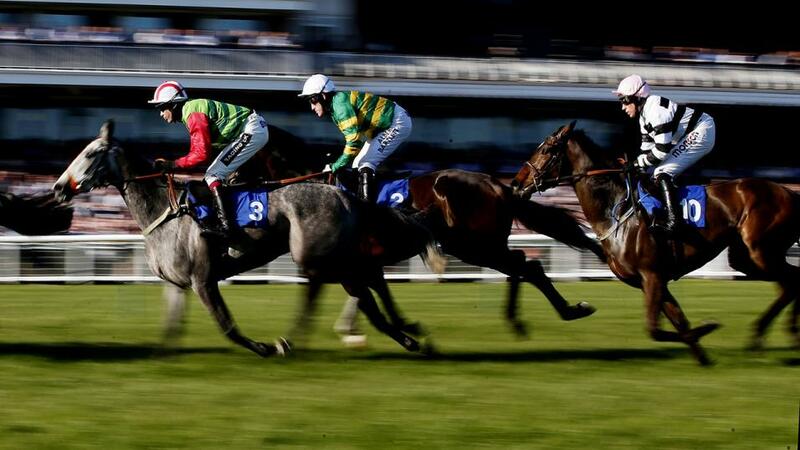 It is probably worth forgiving his latest run in a Grade 1 at the Grand National meeting, that sort of test perhaps coming too early in his development but, back in a handicap here, he can make a winning return on what will likely be a sound surface. 15:35 - GO CONQUER (3) produced a stunning round of jumping from the front when taking this last year and can successfully defend his crown starting out for a new stable. Traffic Fluide should be right up there with the selection throughout and has a big shout. Geordie des Champs and Kings Lad are also leading contenders. 16:05 - FUBAR (5) did remarkably well to finish second on debut at Market Rasen in September given he stumbled badly and almost fell 4f out, so he clearly possesses a big engine, and is well worth backing to go one better. Manning Estate is also expected to improve, while the market may help assess Mere Ironmonger on his belated return.